Peter Knegt explains why the series that shaped his values now reflects the opposite. May 29th, 2018: ABC has cancelled Roseanne following "abhorrent, repugnant" tweets by actress Roseanne Barr. This column was written by CBC Arts producer Peter Knegt shortly after Roseanne premiered. It's only been a little over a week since Roseanne returned to television to massive ratings, but anyone paying attention has already been inundated with a lifetime of tweets, statuses and thinkpieces on everything from the politics of its star to what the show's success says about "Trump's America" to whether or not any reasonable-minded person should be watching the Conner family's second coming. So while I completely understand your hesitancy to spend any more of your time reading a Roseanne-related rant, just hear me out. 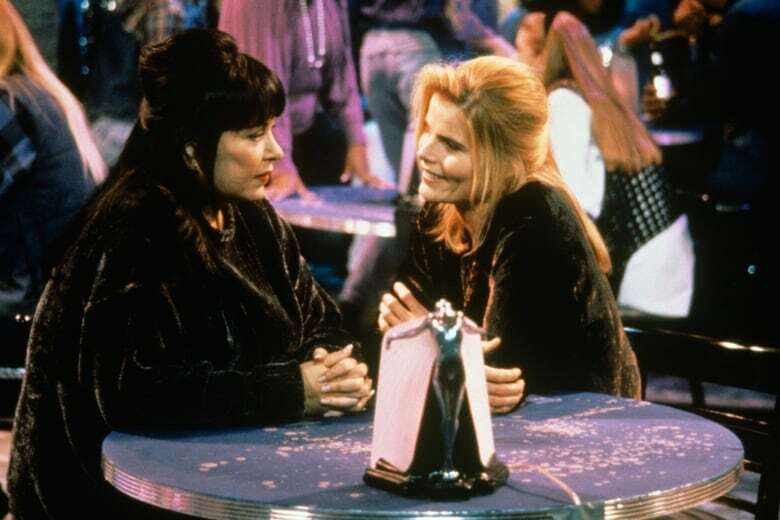 I have devoted an unhealthy amount of time thinking about Roseanne (and Roseanne Barr) over not just the past week, but the past two decades — which has made the path to my ultimate conclusion a substantially difficult one. As an LGBTQ person and as a person that simply believes in human progress, it's time to let go of the Conners and move on. This, in essence, is my eulogy to a show that shaped me. From Will & Grace to Roseanne, is the influx of TV revivals a good thing? To say that I was influenced by most of Roseanne's initial nine-season run is a wild understatement. I'd base my pre-adolescent social schedule around its reruns, taping every episode to create my own little VHS boxed sets before such things existed for purchase. At its peak (seasons 3-6, in my opinion), I still consider it one of the most well-written (thanks to the likes of Joss Whedon and Amy Sherman-Palladino) and well-acted sitcoms in television history. It also took on essentially every social issue possible with authenticity and humour, providing me with a considerable education. I'd even go so far as to suggest that I adopted what I believed to be Roseanne's core values as my own: approach life's hardships with humour, be open about everything with your family and friends, and love them — and yourself — unconditionally. As a queer boy growing up in a working class family in a small Ontarian town not unlike Landford, Illinois, Roseanne was obviously massively comforting in its representation of LGBTQ characters. I know that Ellen and Will & Grace get the majority of pioneering credit, but Roseanne had two regular queer characters — Leon Carp (Martin Mull) and Nancy Bartlett (Sandra Bernhard) — by 1992. That's half a decade before Ellen's coming-out episode or Will & Grace's premiere. And Leon and Nancy weren't well-off urbanites surrounded by likeminded friends. They existed in a socioeconomic setting I could understand, thus normalizing queerness for me — and my family — in a way that Ellen or Will & Grace never could. That said, at the time I discovered Roseanne, I was only nine years old, and had no idea the education it was actually giving me with respect to my own dormant queerness — an education that wasn't served primarily by Nancy or Leon. 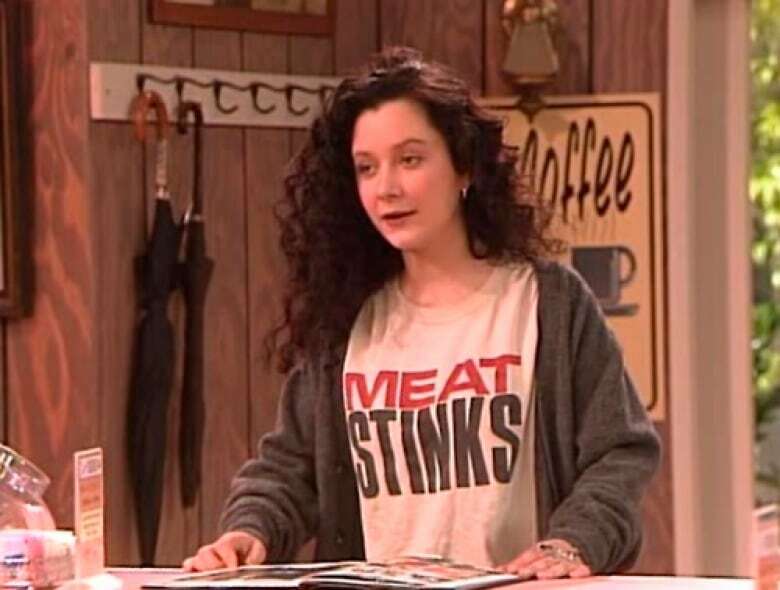 Sara Gilbert's Darlene Conner was my true queer hero of Roseanne; her refusal to abide by gender norms is probably the most transgressive thing the series ever did. That Gilbert herself grew up to become an outspoken out queer woman only added to that. When I became old enough for my parents to let me stay up and watch new episodes of Roseanne in its regular time slot, I could not have been more thrilled. But unfortunately that also coincided with the series' eighth season, which was the beginning a staggering decline in quality. By the following season (its last before this year's resurrection), I stopped even watching, and firmly requested the rest of my family do so as well. The show — which at that point had the Conners winning the lottery — had become such a parody of itself I couldn't take it anymore. I decided my VHS boxed sets would end at season eight, and I would pretend its final season never happened — a denial tactic the reboot has now made official. But that wasn't the end of Roseanne for me. Into my early 20s, I re-watched its prime seasons countless times, either on those homemade boxed sets or the real DVD ones I eventually replaced them with. I found a nostalgic comfort in them that no other series could give me as I struggled to make way through young adulthood, and came to fully realize the impact they'd had on the growth of my own identity and values. And I actually got the opportunity to voice gratitude for this to Barr herself a few years ago, when I interviewed her while she was promoting the 2015 documentary Roseanne For President!. At the time, Barr was still very much considered a liberal icon — her presidential run included a very left-leaning platform with a single-payer healthcare system and extensive financial reform — and I still very much considered her a personal hero. But when I tried to express to her how much she'd changed my life, including how much her show made it safer for me to come out to my family, she didn't seem to be paying attention and her unaffected response was simply, "Oh...cool." I was disappointed, but admittedly it might have been an unprofessional and overwhelming thing for me to say during a press interview, so — like the last season of her sitcom — I tried to pretend it never happened. In the three years since that interview, Barr has done something that isn't quite so easy to deny: she's rapidly evolved into an alt-right Trump supporter who has, among other things, retweeted InfoWars reports, shared Alex Jones videos and made a variety of Islamophobic and transphobic statements — essentially the antithesis of what I had thought her show once represented. 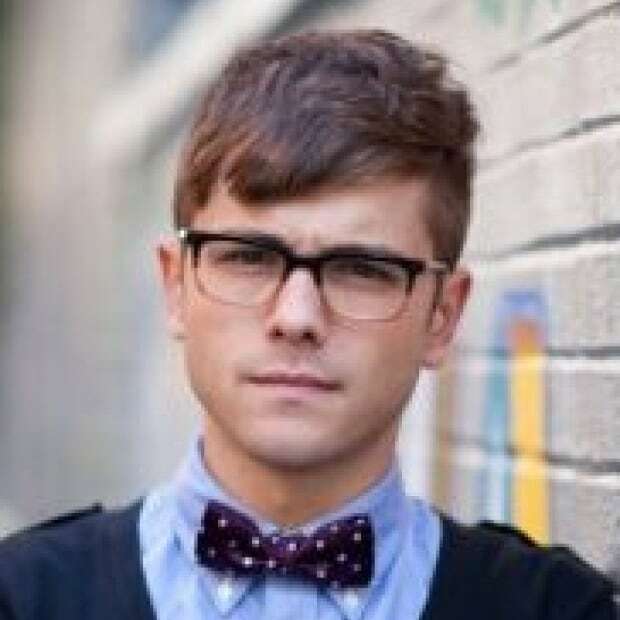 This obviously made the announcement of the Roseanne reboot a bitter pill for me to swallow. Yet as the premiere approached, I convinced myself that it was okay for me to watch anyway. After all, Roseanne Barr was never really my hero — Roseanne Conner was. And if respectable folks like Sara Gilbert, Laurie Metcalf, John Goodman, Sandra Bernhard (who will be back as Nancy in the ninth episode) and Wanda Sykes (who's on the reboot's writing staff) were all on board, why couldn't I be? After watching the first two episodes last week, I was left with several bad tastes in my mouth. 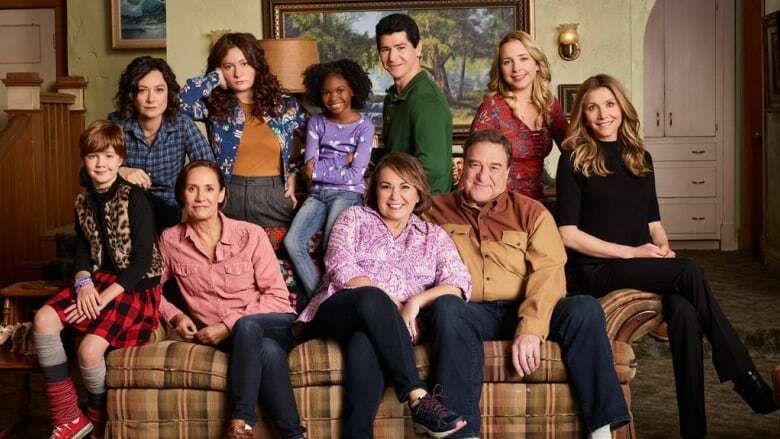 Sure, it was kinda funny (though nothing compared to most of the initial run), and sure, now Roseanne Conner has both Black and genderfluid grandchildren who the episode suggests she will protect at all costs. But how is that possible if Roseanne Conner also passionately supports a racist, transphobic President? And also seems to express her own transphobia when she seems quite relieved when said genderfluid grandchild tells her he still firmly identifies as the gender he was assigned at birth? Making matters even worse is that the massive success of this new Roseanne has given Barr — a truly dangerous woman — a platform to spew hate on a level exponentially more widespread than she's ever had before. It all just feels like the ultimate treason against the Roseanne Conner I thought I knew and loved in 1992, a woman who I suspect would despise who she — and the actress who plays her — somehow became. But it's also not 1992 anymore, and we don't need Roseanne. We have endless high-quality shows that represent so many different viewpoints with an authenticity that is no longer rare — not least among them Black-ish and Fresh Off The Boat, which share a night and a network with Roseanne and were both name-checked in the last lines of dialogue I'll ever hear from that show. I watched this week's third episode of the reboot — which was devoid of whatever scraps of humour were in the first two — in part for this article but also in some last gasp of denial that this situation could still be salvageable. The last scene features Roseanne and Dan Conner waking up after taking an extended nap on their couch in front of the TV. Roseanne notes they've now missed everything between "Wheel and Kimmel." "They're just like us," Roseanne retorts. "There, now you're all caught up." Read this wonderful Twitter thread by Master of None actor Kelvin Yu for an extensive explanation of all that's wrong with that. But a quick summation: no, Roseanne, they're not just like you. Those shows are actually giving a new generation dignified perspectives and values — and they're also actually funny.